My father past away in March of 2000 at the young age of 57. I remember when I was growing up hear the stories of my dad as a young man and his dachshund named “Lady!” She went ever where with him, she was the love of his life back then. He had her for many years and she did at age 14 (human years)! Two months after my father’s death my mother and I bought us a full blooded, AKC registered Black and Tan Dachshund puppy. I asked my mother if we could name her “Lady” in honor of my father’s memory. My mother thought that was a wonderful idea. Even though my mother was the one that forked over the $600.00 to buy her, she has always been my dog, and will forever be my dog. 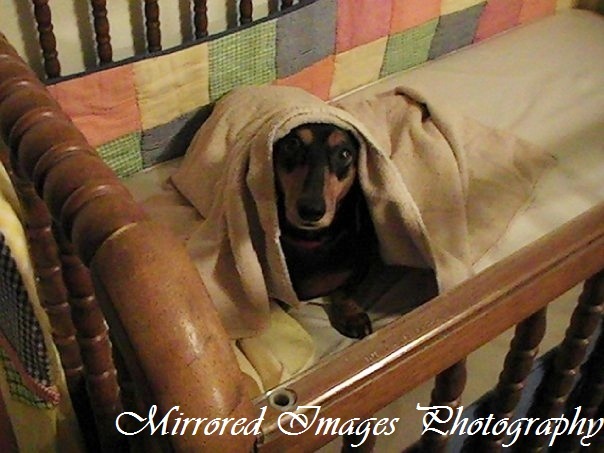 As you can see from the pictures she is a very spoiled dog. She loves to be covered, in fact she knows how to cover herself. I will have to find my video and post it on here of her covering her self with her blanket. When she does not sleep in our bed she sleeps in her OWN baby bed! 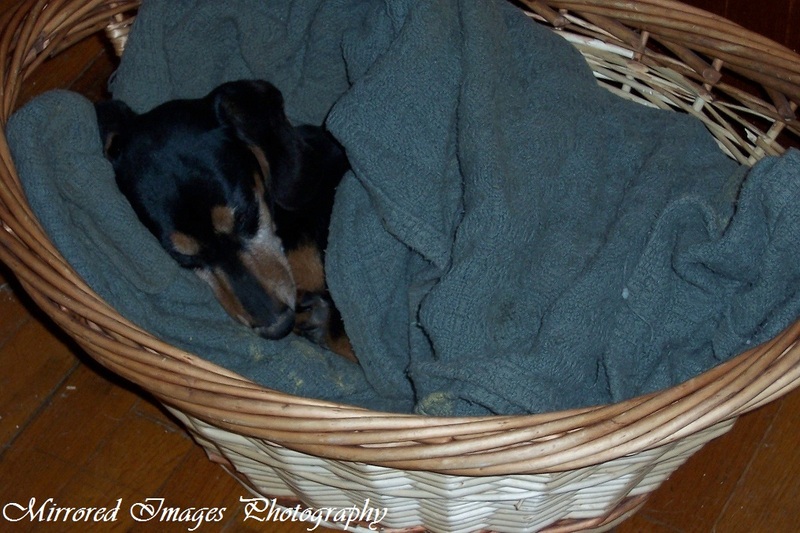 In the living room she loves to snuggle on the couch or chair with my husband or me, but when we are to busy or are not there she will love jump in her wicker basket and snuggle down in one of her many blankets! So sweet. You ARE very, very good.